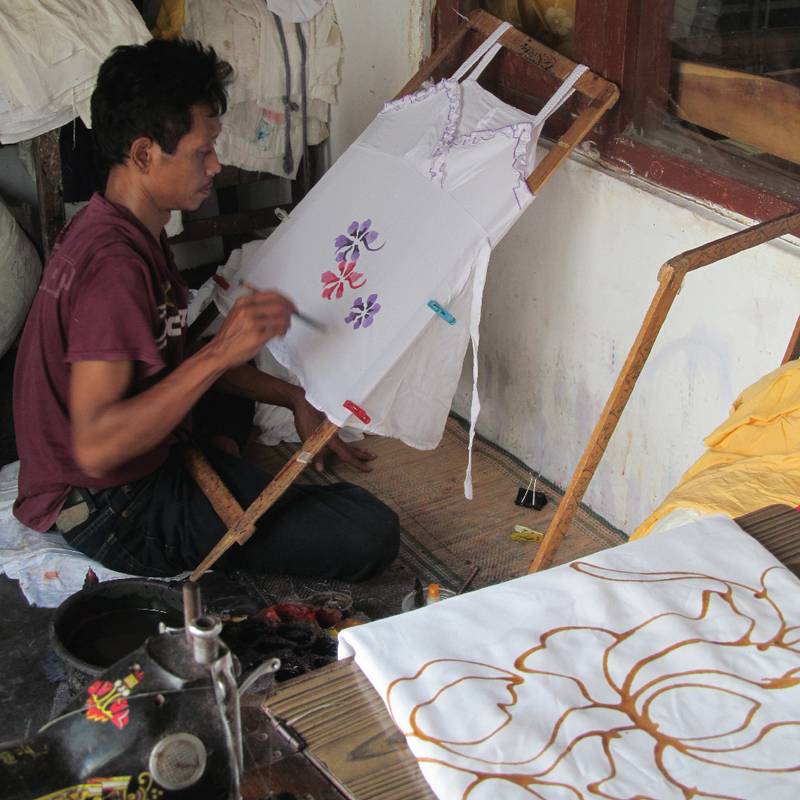 Urban informal and home-based industries which operates out of many urban villages (kampongs) are often neglected and marginalized from planning processes. The intricate nature of the economy, challenges and opportunities are rarely understood and documented. Close observations reveal that the informal economy has become pivotal sector in the urban economy in general, despite its marginal acknowledgement. In the 1998 economic crisis impacted almost all formal sector enterprises in Surakarta. Many factory workers who were let go, turned to small-scale production jobs and informal trading for employment. 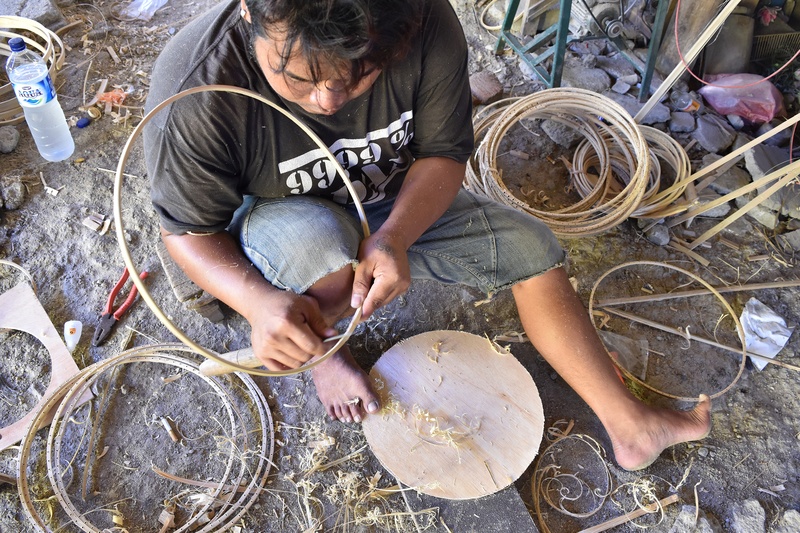 These informal activities were not limited to the more common street traders/vendors (food and other goods) but also home-based craft production. The growth of this industry spread throughout the city and formed agglomerated industrial locales - kampung-based sentra or industrial clusters. The emergent economic phenomenon continue to grow, occupy and transform Indonesian cities. 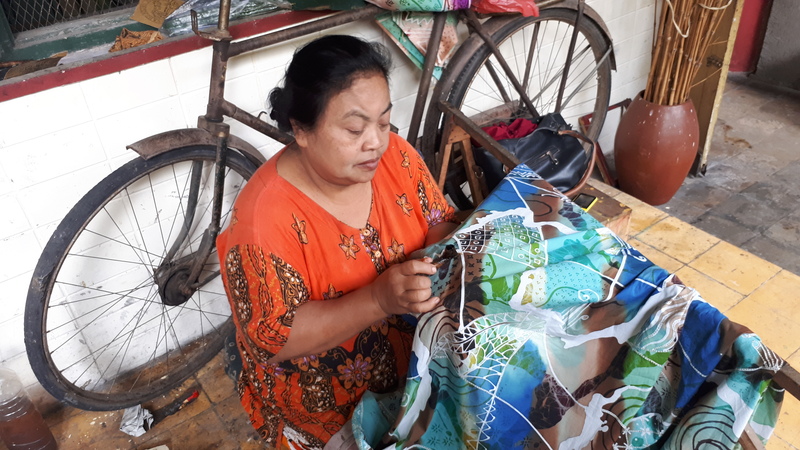 Kota Kita, supported by the British Academy and University College London, launched a research project to further understand and document the informal economy of the urban kampong. Started from March 2016, the research aims to understand the prospects and challenges faced by micro-scale urban industries. It also explores the potentials of the industries by understanding the nature of inventiveness of the industries, and how they survive amid the expansive capitalist economy in the city. With an extensive experience in conducting city-wide and transboundary surveys, Kota Kita designed an intensive survey process that documents almost all small informal industries in Solo. 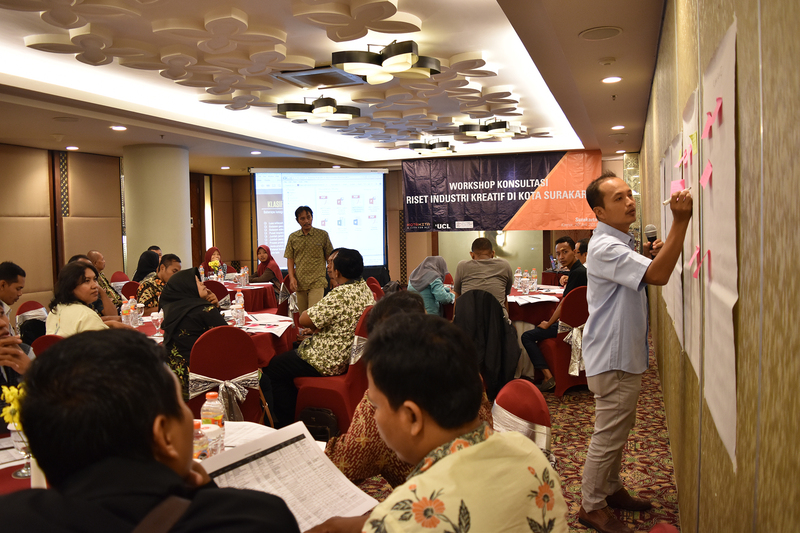 Using baseline data from Surakarta government, Kota Kita validated number of business together with city stakeholders in participatory workshop and conducted in-depth survey to selected industries. There are 29 groups or sentra in the cities which cover almost 768 business owners in Surakarta. This research also recorded 722 groups or sentra in the cities around Solo (Klaten, Karanganyar, Boyolali, Sragen, Wonogiri, and Sukoharjo), from which Kota Kita surveyed and interviewed 293 business owners to better understand the economic and spatial relations of Solo City with the surrounding metropolitan and hinterland area. The research has documented unprecedented information and data set about the industries in Solo and surrounding areas in the forms of maps, industry profiles (location, employment, cost and benefits, challenges, assets and opportunities), and videos. Apart from academic contribution in the form of journal articles, the research developed a city wide profile on creative industries to better inform general public about the creative industries in the city. A national workshop will be conducted to disseminate the findings, generate policy recommendations and promote the creative informal and home-based industries. Kota Kita will continue to develop a follow-up project in a selected kampung in Solo to further implement the recommendations derived from the research.